Fermentations is a proud member and sponsor of the Colorado Springs Chapter of American Wine Society. Visit the AWS website at: www.aws-cos.com. Learn to Make Wine & Beer! Fermentations is a home winemaking center, offering ingredients, wine & beer kits, supplies and equipment for novice and experienced home winemakers and homebrewers. We also offer soft drink supplies. In addition to offering retail sales, we will teach you how to make wine & beer you can share with others with pride. We began our winemaking hobby as a social event for couples, and have continued to enjoy creating exceptional wines with our friends. 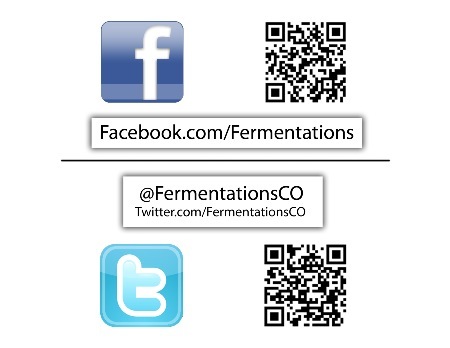 Gift Cards from Fermentations are perfect for family and friends. Fermentations Moved in August 2014! Please visit our new location at 5765 North Academy Boulevard, on the east side of Academy & south side of Vickers. Enjoy your winemaking hobby responsibly!